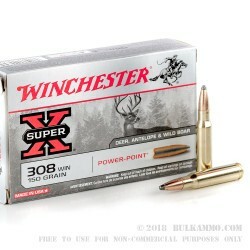 This Winchester Super-X 150 grain Power-Point ammunition is perfect for hunting deer, wild boar, and even antelope. 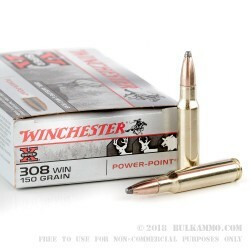 It is also offered in a 180 grain projectile, but this is a better option if you are looking for a slightly flatter shooting round for less holdover at longer ranges. During testing it has shown to produce 2820 feet per second from the muzzle, which is approximately 2649 foot pounds of energy and has a bullet coefficient of 0.294. 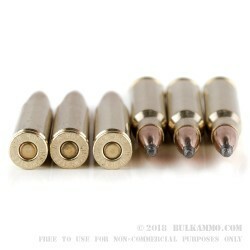 The Power-Point projectile is optimized for maximum energy transfer with the use of notches on the copper jacket that allow the projectile to mushroom out upon impact, slowing it down, and providing full energy transfer. Winchester ammunition is made here in the USA, and has long been a go-to for shooters for their ammunition needs of all types. 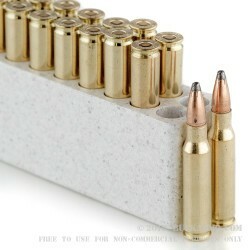 Founded in 1866 they now produce anything from ammo for the range, to hunting, to self defense. This is accomplished from their new plant opened in 2005 located in Oxford, MS filled with all state of the art ammunition production machinery. As of 2016 Winchester celebrated their 150th year of a proud American traditional of supplying the military and public with high quality ammunition.